Bagels were brought to the United States by immigrant Polish-Jews, and became a thriving business in New York City. 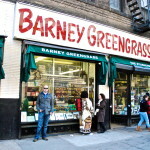 It started as an item exclusively oriented towards the Jewish population but soon enough it took over New York City. Why not? It is portable, fast to make, easy to eat with one hand and you can combine it with everything, from peanut butter and Nutella to smoked salmon and capers. Next to hot dogs and pizza, the bagels complete the trinity of the New York iconic foods. As it is expected similarly to the other two foods, there are hundreds of stores around the city that are competing in making the city’s best bagel. 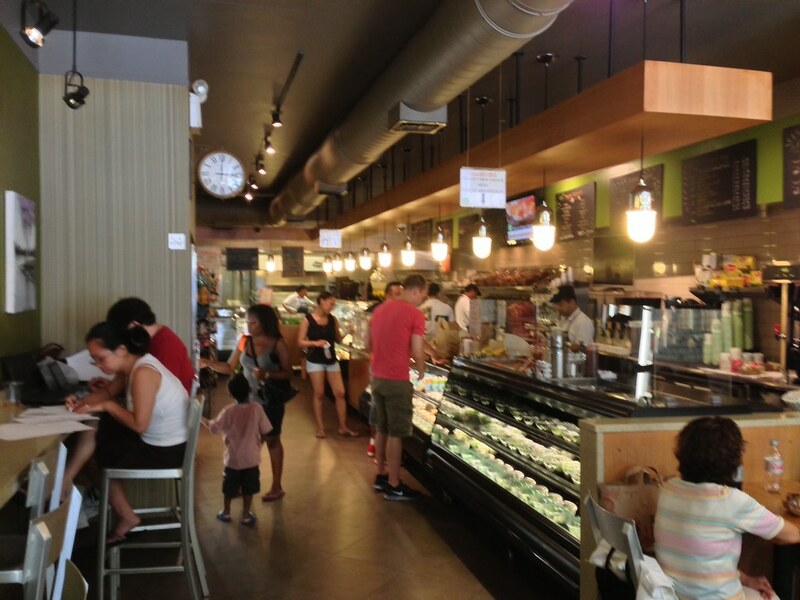 The Brooklyn Bagel & Coffee Company (BB&CC) is probably the best. I am not saying that the rest are not good, I am just saying that this is the best! Hands down the best. Before I explain why BB&CC is the best, let me first explain what a bagel is. Even if you had one out of the bag bought at a convenient store, you have noticed that bagel is a bread product. It is traditionally shaped by hand into the form of a ring from yeasted wheat dough, roughly hand-sized, which is first boiled for a short time in water and then baked. The similarities to bread, however, stop there. A bread is proved and then baked. Bagels are first boiled in a highly alkaline solution and then baked. The boiling is essential for two reasons: First, it proofs the yeast. Second, and more important, the high alkalinity results in a high pH that is essential for the bagel. The high pH causes the surface proteins of the dough to gel, leading to a better browning. This essential because breads at the size of the bagel, in the time required to brown properly they will develop a very hard crust. Bagels however, have to be soft and chewy inside and brown outside, without being crunchy. The result is a dense, chewy, doughy interior with a browned exterior. The softness of the exterior is a unique feature, since when you bite to eat, the filling is not running out. There are two parameters on the bagel: the dough and the toppings. Traditional toppings are poppy seeds, salt, onion, garlic, and sesame seeds. Traditional doughs include, whole wheat, rye and pumpernickel. Some of the most popular bagels are the Everything Bagel (all the topics), the Sesame and the Poppy Seed (that on the contrary to the popular believe it will not cause you to fail your drug test). It is also common to see in the dough raisins, cranberries and other fillers. Getting the right bagel is as simple as looking for the signature characteristics of the bagel: shiny brown exterior and spongy, chewy tender interior. 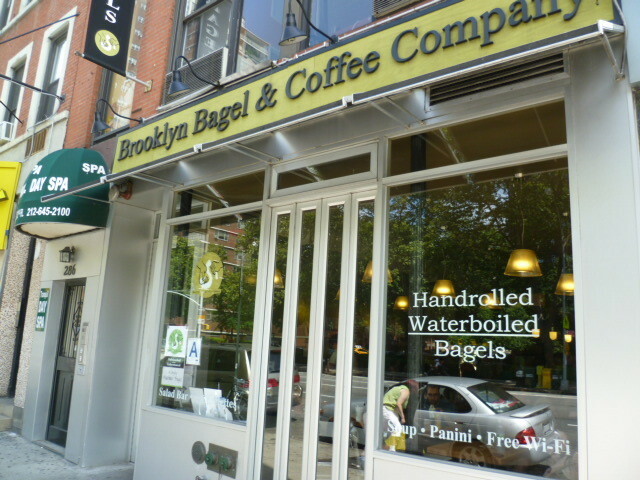 So far, the place that consistently delivers the best bagels is the Brooklyn Bagel & Coffee Company (BB&CC). 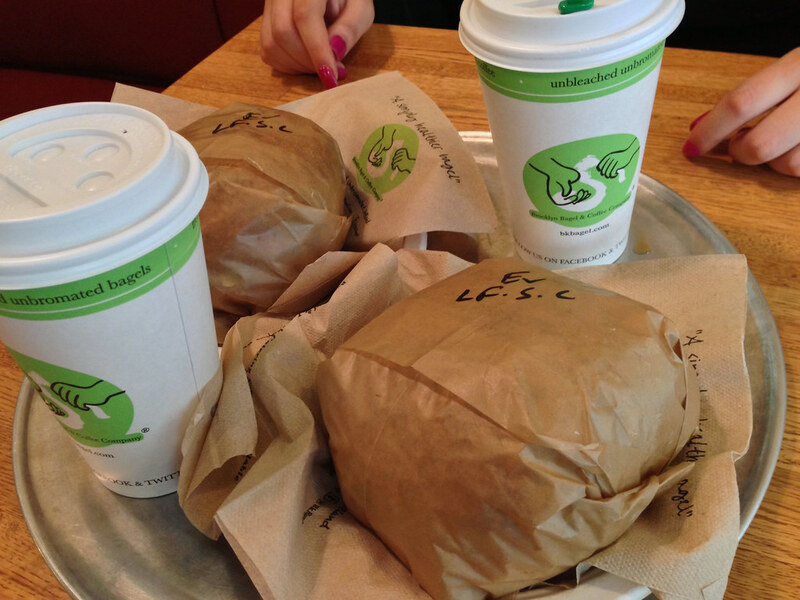 It delivers handrolled, kettleboiled bagels that come in two sizes: Big & Mini. The secret, other than the New York water, is the high quality of flour which is unbleached – unbromated, that is delivering this delicious bagel. They have all the standard bagel varieties with pretty much all types of grain flour. 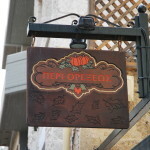 They also offer the unique spelt bagel. Spelt is a grain similar to wheat, that is considered ancient since it was cultivated for more 5,000 years. It is tasty, but the bagel feels a bit too dry. 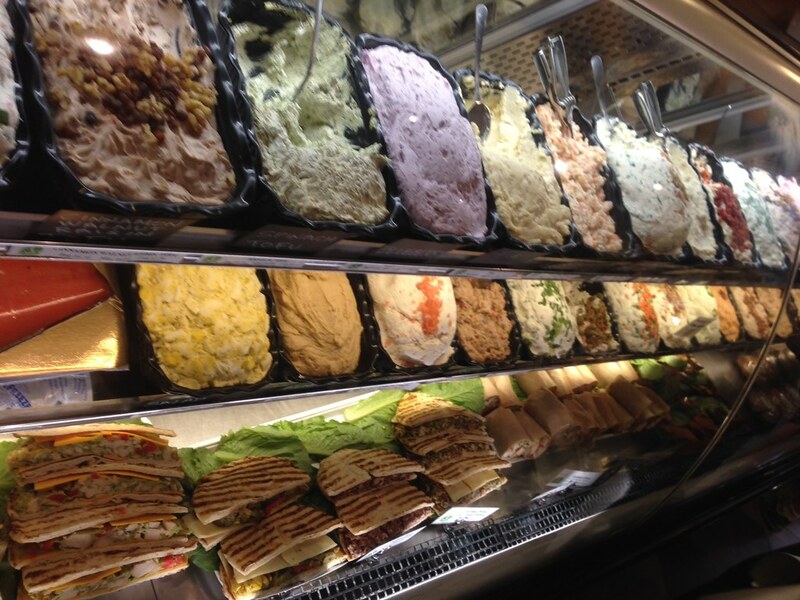 What is however more astonishing is the great selection of cream cheeses and toppings that are available. 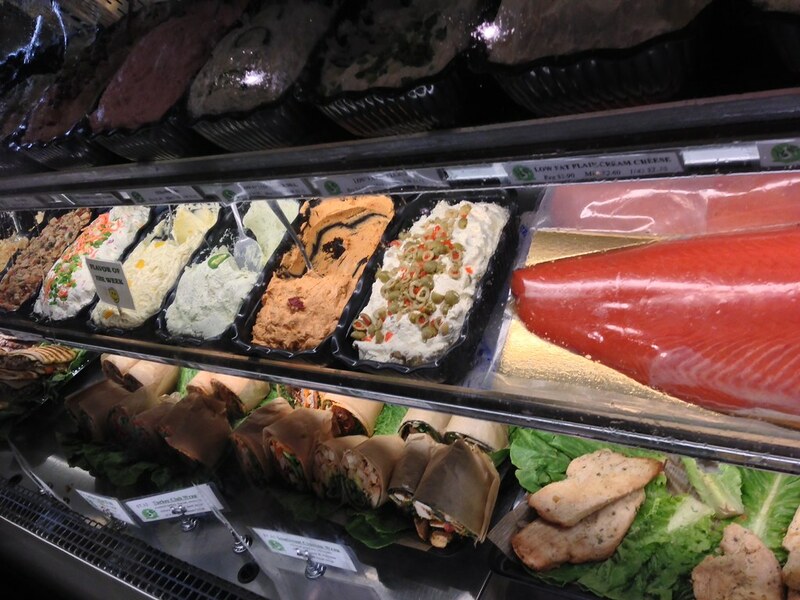 For cream cheese they have plain, vegetable, scallion, cinnamon walnut raisin, baby dill, pumpkin (seasonal), diavolo chipotle, jalapeno asiago, strawberry, blueberry, apple cinnamon, pimento olive, sundried tomato, bacon scallion, and garlic & herb. They also have a selection of non dairy tofu, vegetable tofu, and cinnamon raisin tofu. As an addition there are the hummus, peanut butter, nutella and the lox spread. You have also the regular sandwich fixings. Yes, salmon too. I have to say here that the mini bagel is just not enough. Every time I get a mini I regret it and break down and get one more. 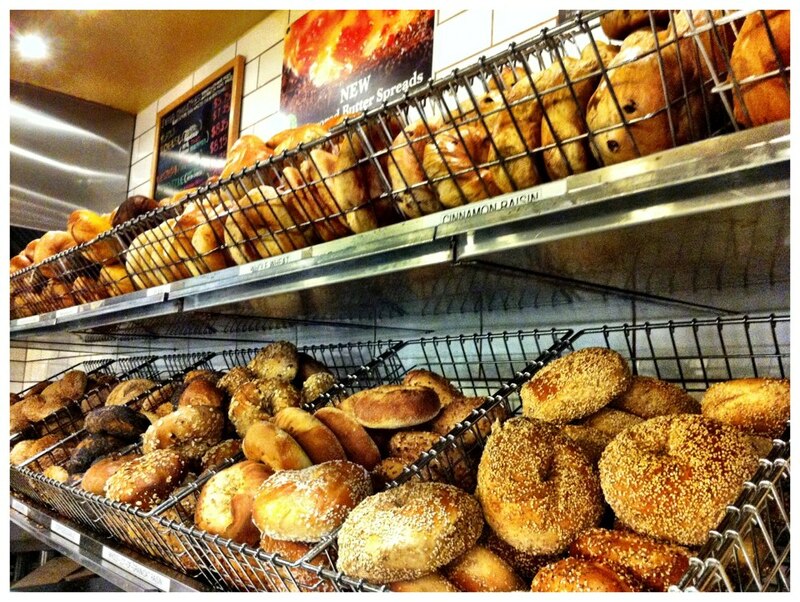 Saturday and Sunday morning the bagels are flying of the shelf. 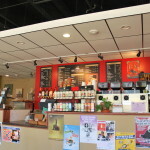 The staff is so proficient that will expedite everything in matter of minutes. 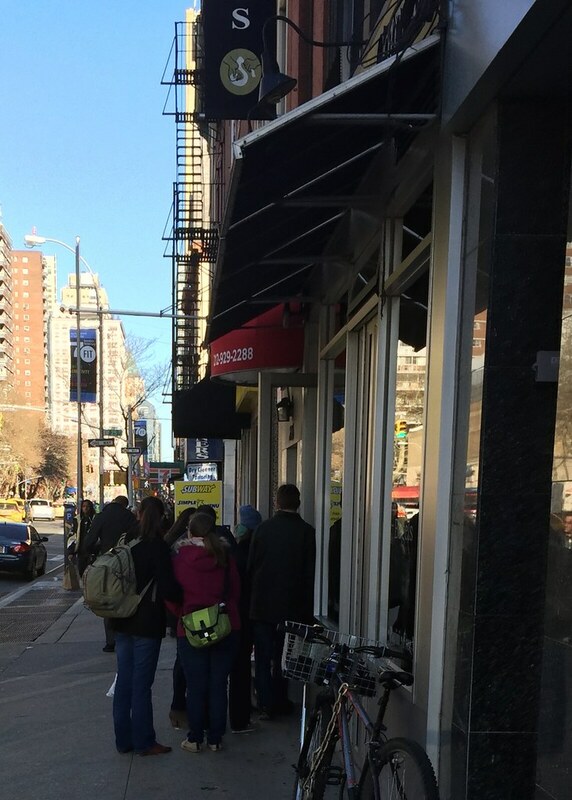 You might get discourage with the size of the line, but it goes quickly. 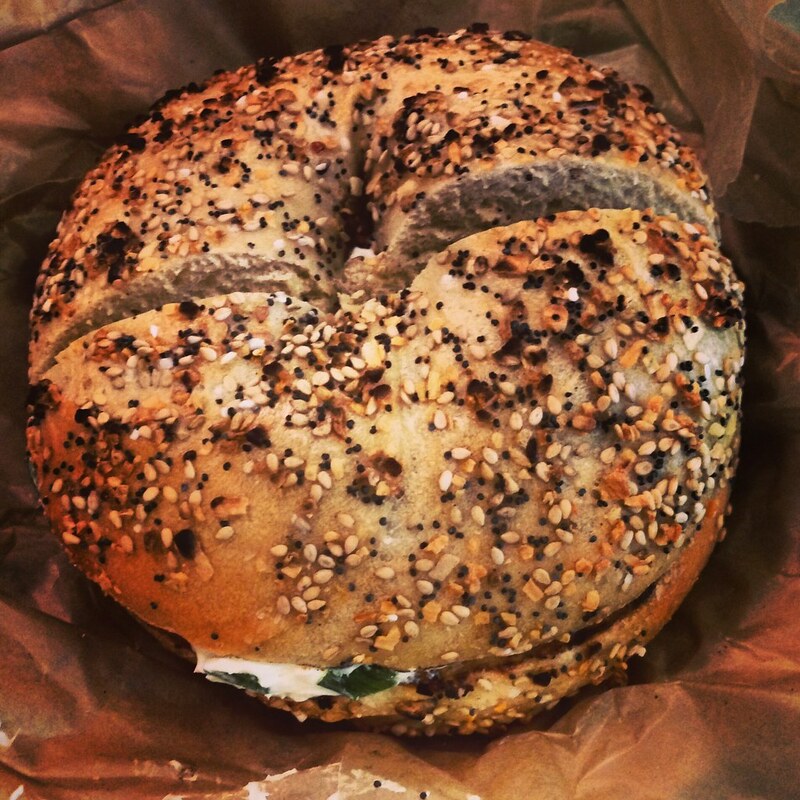 And in just a matter of minutes you will be holding the best bagel you ever had. Sometimes the bagels are right of the oven and they don’t have time to cool. It is recommended not to toast them since they are already hot. This beauty is my favorite. It is the whole wheat everything bagel, with bacon scallion cream cheese. Sometimes when my figure is curving too much, I get the low-fat scallion. Oh yeah the bagels feel lonely. You need to accommodate those luscious lovelies with some of their amazing coffee. Their coffee completes the equation. It is amazingly delicious. Their iced coffee is probably the best iced coffee I ever had. Final verdict? The best bagels in NYC and therefore in the world.